We will remember them… and celebrate their life and our links to the past! Extract from ‘For the Fallen’, The Winnowing Fan: Poems on the Great War, 1914, Laurence Binyon. Who was Private George Alexander McInnes? 100,000Australians, our war dead, are buried overseas. Most graves have never been visited by their loved ones, including that of Private George Alexander McInnes, Grave A.64. 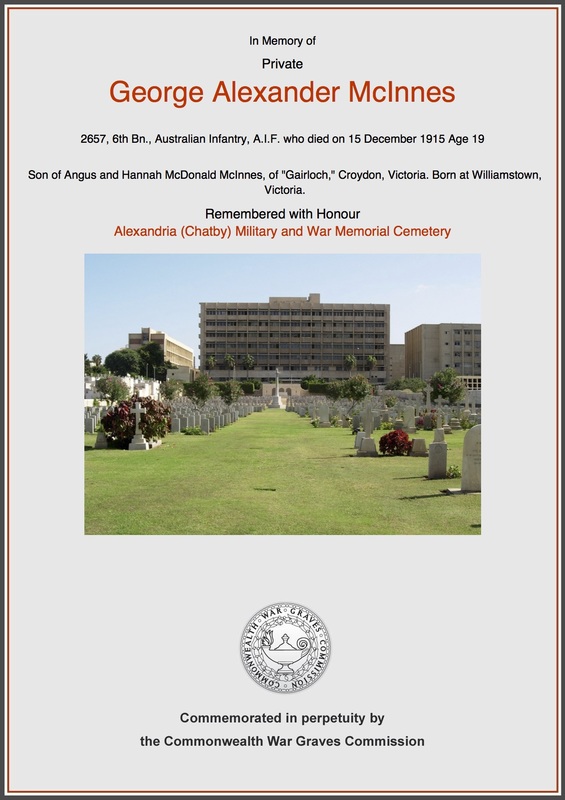 Nineteen years of age, when he died of enteric fever in Alexandria Hospital, Egypt, George is buried in Alexandria (Chatby) Military and War memorial Cemetery, along with 510 Australians from both wars. Many of the young men, like George, forever remembered as soldiers, the sum total of their life a caption at the Australian War Memorial, or an inscription on a local cenotaph. Often family history researchers, relatively new to Australia discover an ‘ANZAC’ and seek no further information if the relative died. 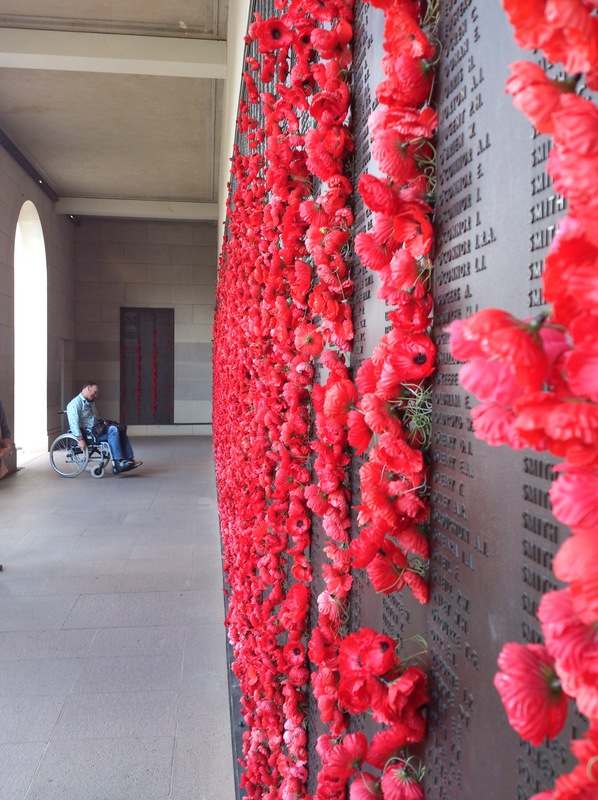 However, in recent years there’s been a resurgence of interest in the Anzac legend, and this year with the Centenary of Gallipoli, more people are trying to understand what their relatives must have experienced and the devastating affect the missing lives had on the people left behind. These young men had a life before the war, and probably a fruitful future if they had lived. 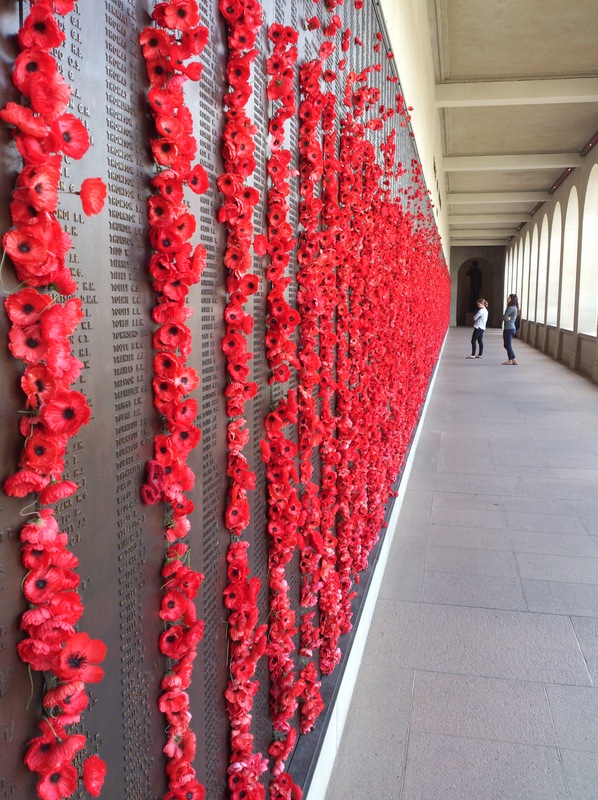 When studying for my masters degree I began to explore my connection with the Anzac legend from a family researcher’s point of view, but also from a creative writer’s perspective. If I was going to write about family, I wanted the stories to be readable, believable, to engage the reader so that the people will be remembered – not as a statistic or an entry in the family tree, but as a person who laughed, cried, loved and hated and contributed to the rich tapestry of the human story. How do you go about researching a life when all you have are a handful of postcards written from Gallipoli? How do you recreate a family when you never met, or knew the relatives well? Can a combination of document research, family oral tradition and personal views recreate a life to write a sufficiently interesting tale that is ‘true’ to their memory? 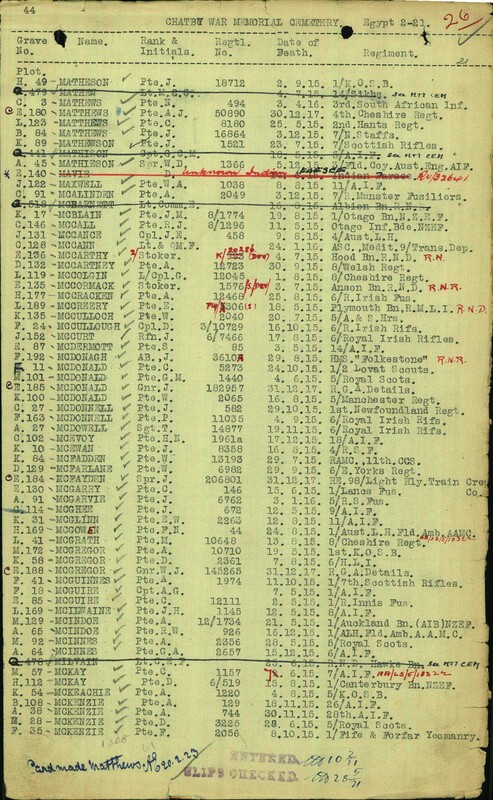 To reclaim the first nineteen years of the life of George McInnes, it was necessary to begin the search with the fact that he had been killed in the Great War and download his army file from the National Archives of Australia website. They have generously made information on WW1 soldiers available for researchers. Copyright, AIF Database. May not be printed or reproduced without permission. 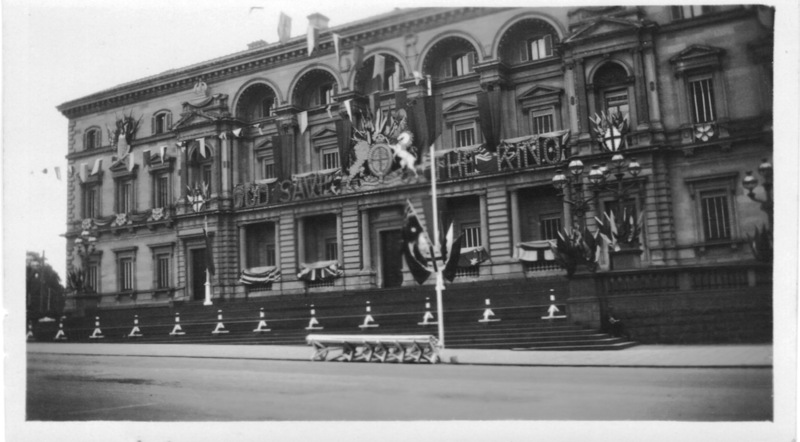 Armed with information from these files more data could be gleaned from the Public Record Office of Victoria and other sources, including an inherited box of old sepia and black and white photographs, faded and stained – and of course not labelled or dated! 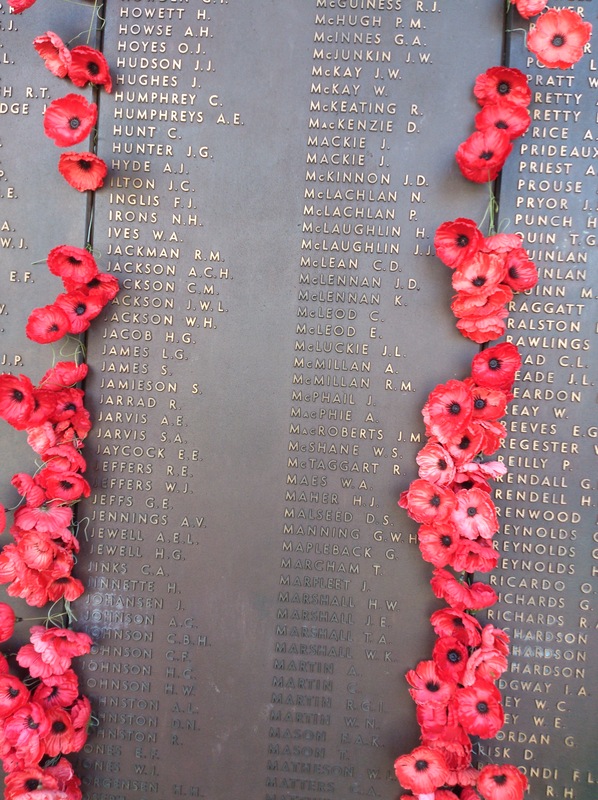 The word Anzac was a new word to me in 1962, when I arrived in Australia from Scotland with my family, at nine years of age. We came to stay with an unmarried cousin of my father’s, Catherine McInnes the first person we met from the Australian branch of the clan. Aunt Kitty, as we were encouraged to call her, was 72 years of age and had never married. She lived a reclusive life after the death of her mother, Hannah the previous year and it must have been a shock when our family of eight exploded on the scene. Her old neglected weatherboard house in Croydon sat on the corner of Lincoln Road and a selection of potholes called James Road. Kitty’s outings, apart from shopping, were to the Croydon Presbyterian Church, Country Women’s Association meetings in the church hall and regular visits to donate blood to the Red Cross in the city. When my parents, a determined Scots/Irish couple arrived with six adventurous children, ranging from three to 13 years of age, her ordered solitary lifestyle changed forever. Local children had declared Kitty’s rambling dilapidated house haunted, but the unkempt bush block, encompassing a disused sawmill and overgrown orchard an ideal setting for the release of stored energy after our month’s journey on P & O’s Orion. Like Apaches in the popular Hollywood Westerns, we whooped and cavorted free from the confinement of small cabins, narrow corridors and the crowded decks of the migrant passenger ship. 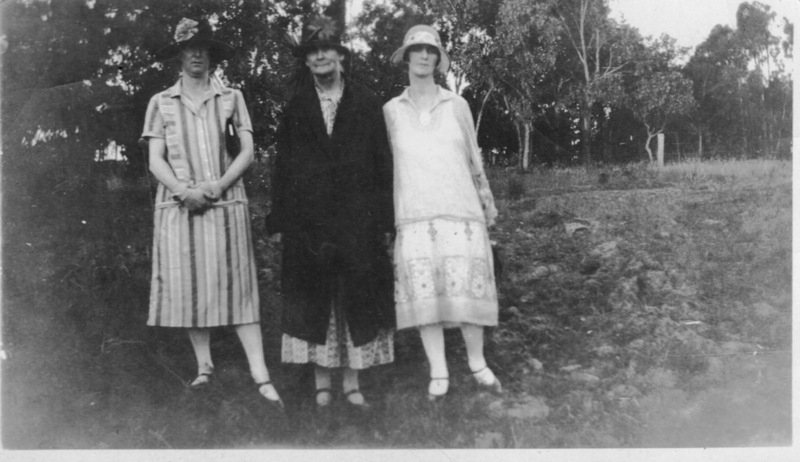 At Croydon, we climbed trees, staged plum and apple fights, searched through remnants of sheds and chicken coops, discovered deserted bird nests and fox dens, blue-tongued lizards and grumpy possums and discarded rubbish from the turn of the century. We built escape tunnels and stockades to resemble those in Combat, a favourite TV show about a platoon of American soldiers winning the Second World War in Europe. When we wanted a change we escaped Colditz after all as 50s children we still lived in the shadow of WW2. The old house provided a daily escapade outside, and inside it promised a fascinating adventure of the mind and soul. Gloomy timber-walled rooms, a grim contrast to the wide-open spaces and subdued colours of the garden of Australian bush and imported fruit trees, always coated with a layer of dust common in the dry Australian bush. We arrived a week before Christmas into a heatwave, a baptism of fire as we adjusted to our new home. Dark cedar furniture deprived of the thrill of polish for a long time, crammed into the 12’ x 16’ lounge-room, lined with brown-stained weatherboards. A huge dining table sitting on blocks because of three broken castors, two lumpy shabby sofas huddled in a corner, horsehair interior leaking onto the dull brown linoleum. An enormous sideboard, overflowing with ornaments, crockery and other paraphernalia of indeterminate origin, took up most of one wall. This room, out of bounds to us, but we often used it as a shortcut to other parts of the house when playing hide and seek, or tiptoed to peek at forbidden treasures when adults were busy. This was Aladdin’s cave in our eyes and like most curious children we found forbidden places the most exciting. My favourite objects, a huge emu egg and two large peacock feathers, their multi-coloured hues catching the limited sunlight and trembling in the breeze we made when running past. Rotten stumps meant you could feel the floorboards bounce and squeak beneath your feet. Sometimes it felt as if the room swayed. We were the cliched ‘herd of elephants’, Mum accused us of being whenever we played indoors. Aunt Kitty retreated to the lounge room each evening, to listen to programs on a valve wireless, which squatted on the mantelpiece, above a fireplace flickering flames, even in summer. Placed at the centre of the house, the dark and cold room had one window. This overlooked a tumbledown veranda in a dangerous state of disrepair. The tall and narrow sash window jammed shut, its cracked pane held together with discoloured sticky tape. This reminded my parents of the tape to prevent windows breaking from the German bombers that blitzed Scotland, but never reached Melbourne. The atmosphere of neglect that pervaded the property nowhere more evident than this once splendid room. The ramshackle veranda on rotting stumps sagged against the side of the house, minuscule natural light valiantly trying to penetrate the lounge room. Wild honeysuckle and out of control jasmine provided a haven for mosquitoes that feasted regularly on our Celtic blood. A thicker blanket of greenery blocked out the sunlight as it trailed along the inside of the verandah roof to curl around the window. 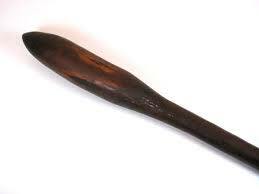 A naked drop-pearl light bulb, hung from the ceiling, its flex covered in disintegrating brown cloth. 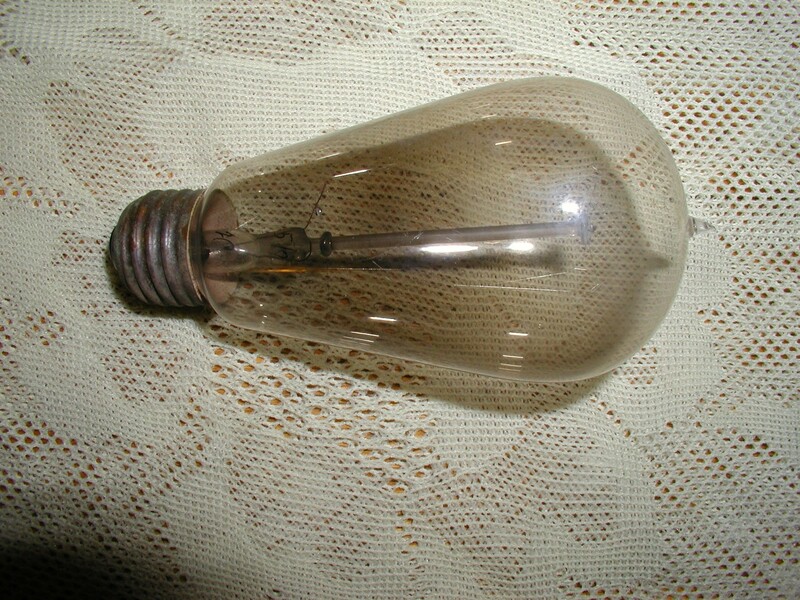 It provided an inadequate 15-watt glow; the bulb a relic from between-the-war years, the same vintage as the cracked patchwork of dull brown linoleum. The world of television didn’t exist for Aunt Kitty and being too expensive for our family budget as Mum and Dad tried to establish themselves in a new country, our favourite programs relived in conversations and games. Therefore, when Aunt Kitty invited us into her sanctuary to listen to the radio, or hear her stories of the McInnes Clan in Australia we hurried through bedtime rituals to sit at her feet, faces scrubbed to shine by the glow of red gum logs. We heard tales amply illustrated by artefacts and pictures adorning the walls, or crowding the sideboard. 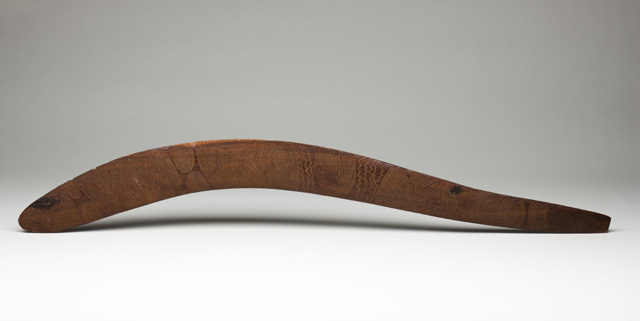 There were poison-tipped spears from New Guinea and other islands to the north of Australia; hunting boomerangs from Central Australia and nulla-nullas fashioned to kill. Fodder to excite imaginations. Two huge blown emu eggs sat in patterned porcelain bowls – to us they were dinosaur eggs. Cassowary and peacock feathers protruded from dull brass vases, mother-of-pearl shells gleamed and a single large conch shell still whispered the sound of the Pacific Ocean when held to your ear. Aunt Kitty fascinated us to silence with tales of brave Captain John McInnes from the Isle of Skye, travelling many times between Europe, the Americas and Australia until going down with his ship, in faraway Portland, Oregon. His clipper Cadzow Forest often mentioned in newspaper articles because of his seamanship. We absorbed the pride in Aunt Kitty’s voice, and demanded more stories. After spending a month travelling the high seas, but in a larger ship we wondered how the men aboard the Cadzow Forest coped with cyclonic winds, sheets of rain, mountainous waves and burning sun? Relatives we’d never meet stared from behind ornately carved wooden frames, adventurers who had made Australia home or pioneers born here when the country colonised. However, their attempt to establish a dynasty failed with childless Kitty and her older brother, Jack, who married a woman long past childbearing age. 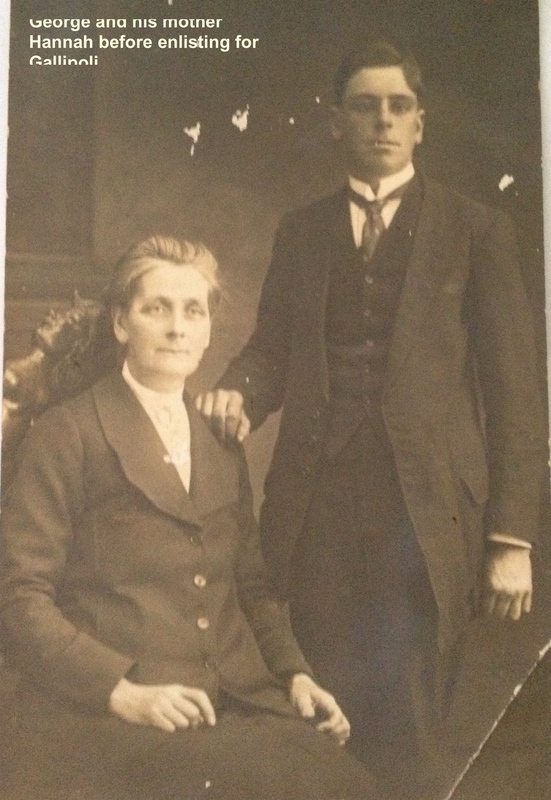 Their younger sister, Jessie produced one son, but he would not be continuing the McInnes name. An older brother George, stood resplendent in his army uniform in a picture frame hung prominently above the sideboard and flagged by two poison-tipped spears. His Aussie slouch hat, set at a rakish angle and adorned with the rising sun Anzac Badge worn by diggers familiar from ‘postcards from the trenches’ Aunt Kitty kept. ‘That photograph was taken prior to his departure for Gallipoli,’ whispered Kitty. Although ignorant of where that was, we recognised the finality and pain in the sentence. We didn’t ask where George lived now. He smiled from another photograph; this time dressed in full Highland regalia: kilt, sporran, beribboned bonnet, sgian-dubh (the highland dirk) – a picture postcard Scot! She smiled, and with the patience of a teacher said, ‘Gallipoli is a long way away in a country called Turkey,’ and then proceeded to talk about Scotland as ‘home’. She said it was important to keep our culture alive. 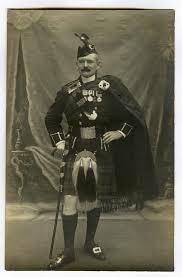 George had borrowed the outfit from his best friend, another George who was a piper in a local Scottish band. Kitty’s voice softened at the mention of the other George and she twisted the shiny Celtic friendship ring on the third finger of her left hand. We knew to remain silent as we watched emotions flit across her face, her lips quiver. The spluttering and wheezing from the fire ceased. My chest ached from holding my breath. I could feel my brothers and sisters tense. Even the flames appeared to freeze. Aunt Kitty stared into the fireplace and spoke as if alone. The sadness in the room, suspended from the cathedral ceiling like a dark cloak, ready to smother happiness and laughter forever. We had learned enough history at school, albeit about the more recent Second World War, to know that soldiers died far from home and the grieving lasted a lifetime. As sometimes happens in moments of emotional intensity, a circuit breaker occurs. Six-year old, Alistair often did or said the unexpected like most young children. He’d been staring at the photographs, not really following the conversation and his childish voice began singing the popular Scottish song ‘Donald Where’s Your Troosers.’ Quietly at first… then raucously. The poignancy of the story passed him by, but his uninhibited singing drew a twitch of a smile from sombre Kitty. 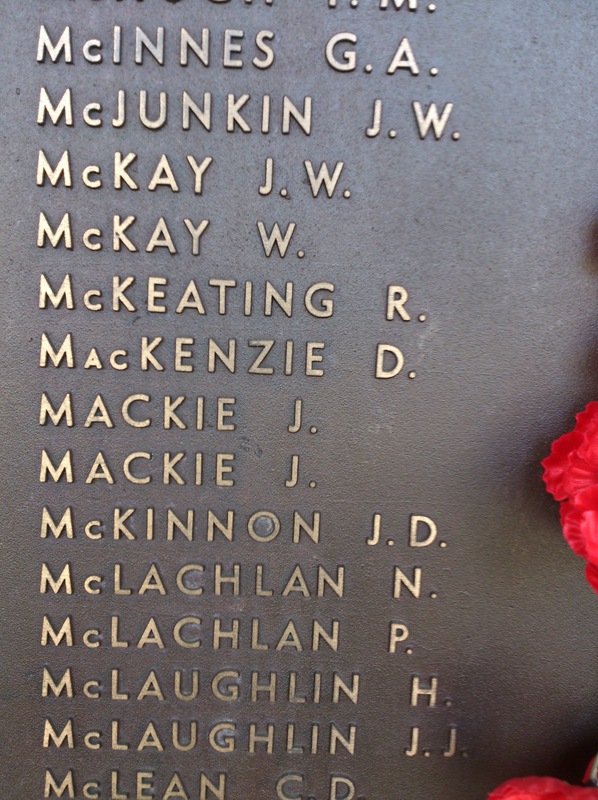 This gave the rest of us permission to laugh, but not forget the story of our ANZAC and Aunt Kitty’s Highland laddie, their absence lacing her life with sorrow and planting a seed in me to find out more about the man who shared two of my Father’s names. Today it is 100 years since George and others left on what they thought would be a great adventure – that’s what war seems to mean to young men of a certain age when patriotism is whipped up by politicians and those in power with vested interests. In reality, the war to end all wars a myth, but we must remember those who lost their lives, who suffered injury and the dislocated families on all sides of the conflict that had to live with stories of horror and hardship. There are no real winners in war and as I find out more about the effects of George’s death on Angus and Hannah and his siblings I hope to do justice to their legacy and ensure George Alexander McInnes is not just a name on a war memorial or gravestone. A good place to start (and to end this post) is to reveal what I know of the day he was born. George Alexander McInnes’s, birth on the 16th January 1896 is registered by his father, Angus McInnes and his mother, Hannah. Angus is a thirty-eight-year-old labourer from Dunvegan, Isle of Skye, Scotland and his thirty-two-year-old wife Hannah McDonald formerly Leslie, is from Colac Victoria. They were married on 4th June 1890 at Colac and there are two daughters listed: Catherine Ann (4 years) and Jessie (2 years). Victoria was changing rapidly as the new century approached and for George it was a good time to be born. 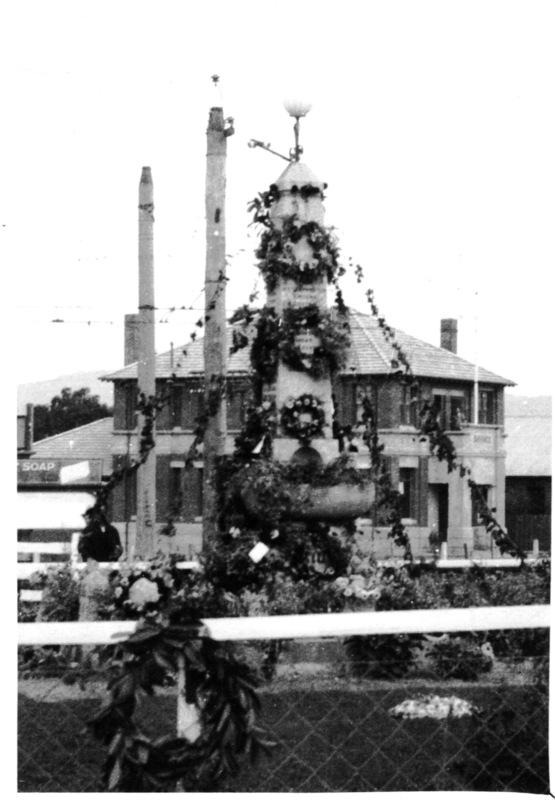 Factory Acts introduced in Victoria in 1896 tightened control over the employment and exploitation of children in the industrial workforce, the emphasis being on children as the economic responsibility of parents not as a contributor to the family income. 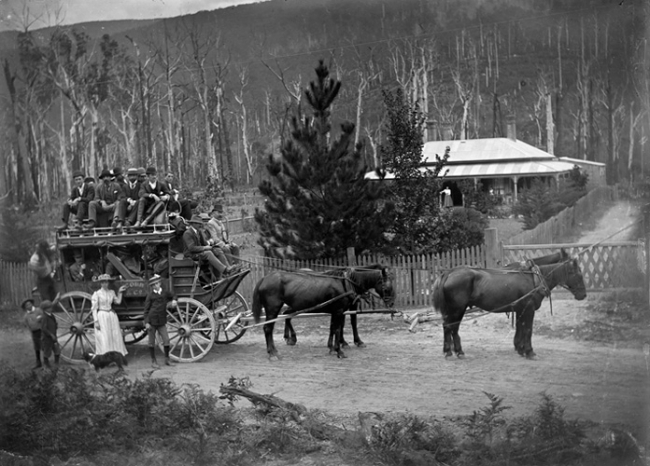 There was already a uniquely centralised model of school education in Victoria set up in 1872, based on the principles of free, secular and compulsory education. The expanding industry and commerce changed labour patterns and created a demand for improvements in the literacy and numeracy, of the working population. employee and employer representatives, presided over by a neutral chairman who, if necessary, exercised a casting vote. This industrial mediation system designed to prevent the growth of ‘sweat shops’ and rampant exploitation. 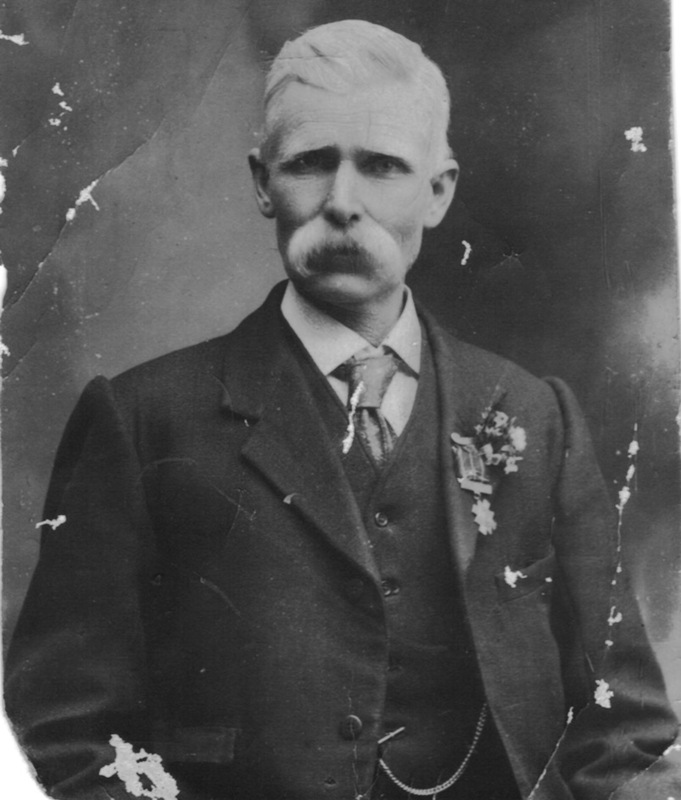 Fortunate George would later join his father, an employee of the Victorian Railways in June 1883, a time of great expansion. In a list of permanent railway employees, Angus is recorded as a labourer in the Locomotive branch. 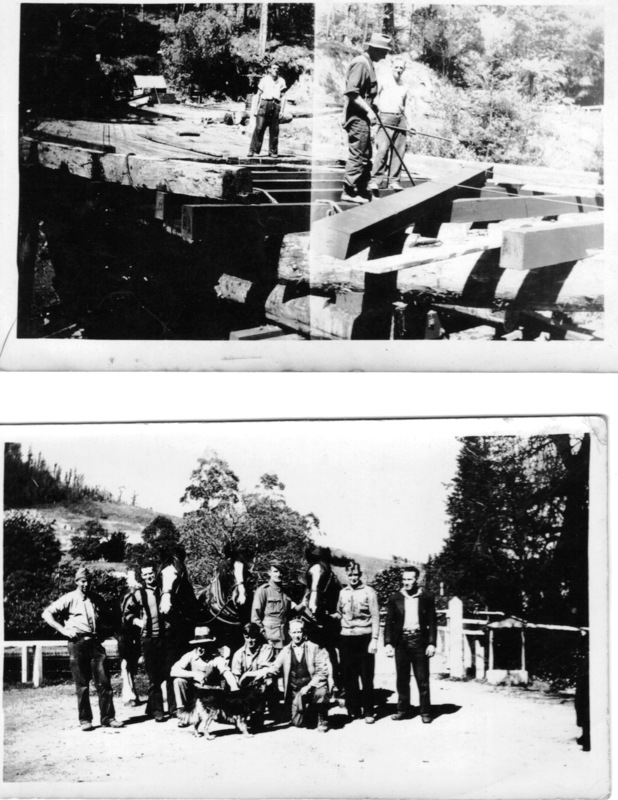 The Newport Workshops started in 1884, and later employed George as a ‘lad labourer,’ but either because of his youth, or his lack of permanency, George is only listed in one annual report – and that is the year of his death, 1915 where he is praised for joining the Australian Expeditionary Forces. He then appears in an obituary column with 55 of the 2,073 railway employees enlisted for active service. Fifty-five young men who ‘ gave their lives for the Empire’. 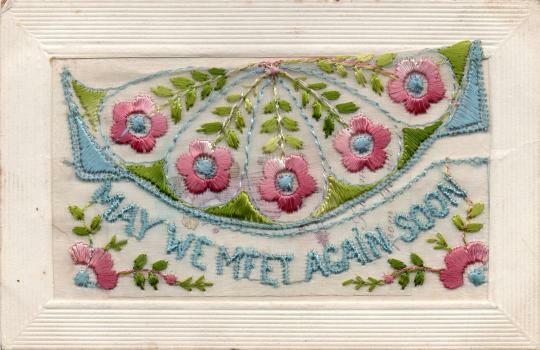 And again we have returned to the end of George’s life and it promised to be a good one if the war hadn’t intervened. 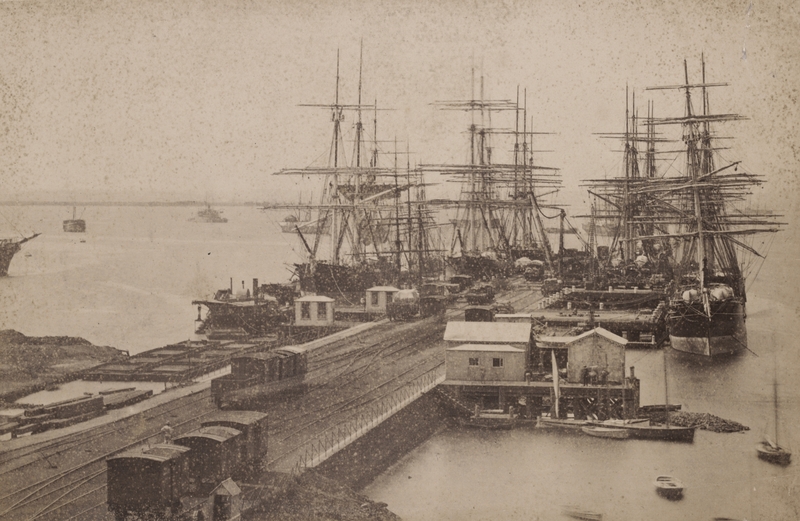 Victoria spearheaded the movement for an eight-hour working day, and in 1896 incoming ships were met and new arrivals told not to accept any other conditions than that provided by the eight-hour system. Although wages fell to 3s. 6d. for a time, the eight-hour day remained the standard working day for most classes of labour. Railway workers like Angus were fortunate to be on 8/- a day and the McInnes household living in a railway cottage were probably better off than many working class people. For a long time the character of Williamstown’s industrial development was essentially maritime. The early development directly linked to the development of the port. 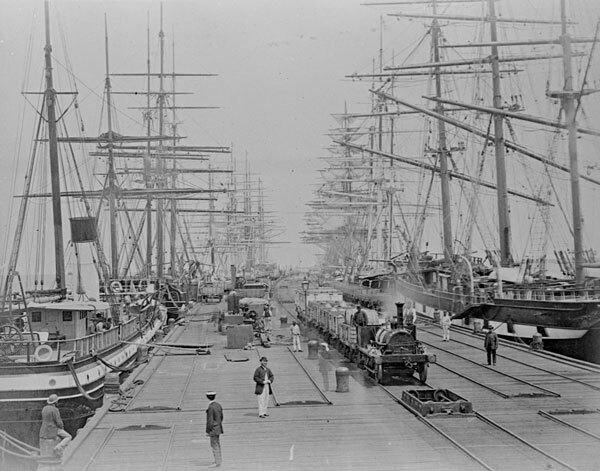 Williamstown handled most of Melbourne’s shipping before the gold rushes, and boat building and repair yards and associated iron foundries developed. The McInnes home in Oakbank Street is two streets away from The Strand and within walking distance of the Newport Railway Station, convenient and prime real estate. 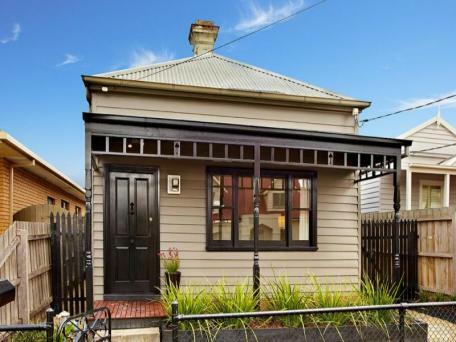 The detached house single storey weatherboard (now part of a heritage precinct) set back from the street boundary by a small garden and low front fence would have been considered comfortable for a young family. 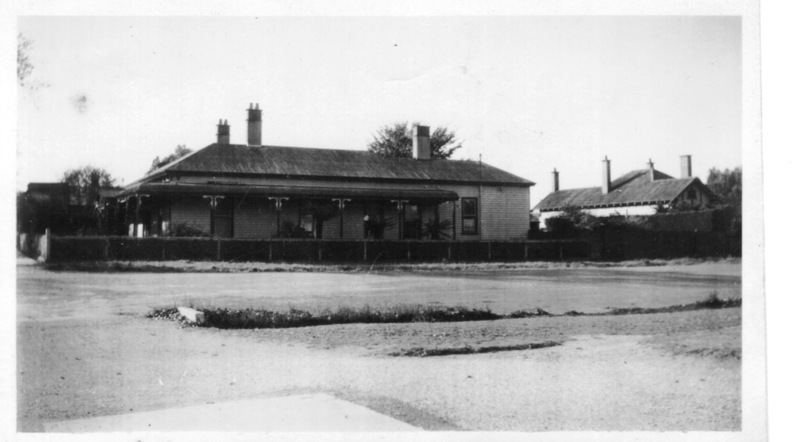 The wide streets with bluestone kerbs a safe play area for children although no doubt George and his sisters had many trips by Cobb and Co Coach to visit Hannah’s family in Colac before that mode of transport was superseded by the motor car. On his enlistment papers when he joined the Australian Imperial Force on 31st May 1915, George states he has been a senior cadet for four years and one year with the 70th Infantry Militia Citizen’s Forces, ‘still serving’. In 1911 when universal military training was introduced, George would have joined Senior Cadets. 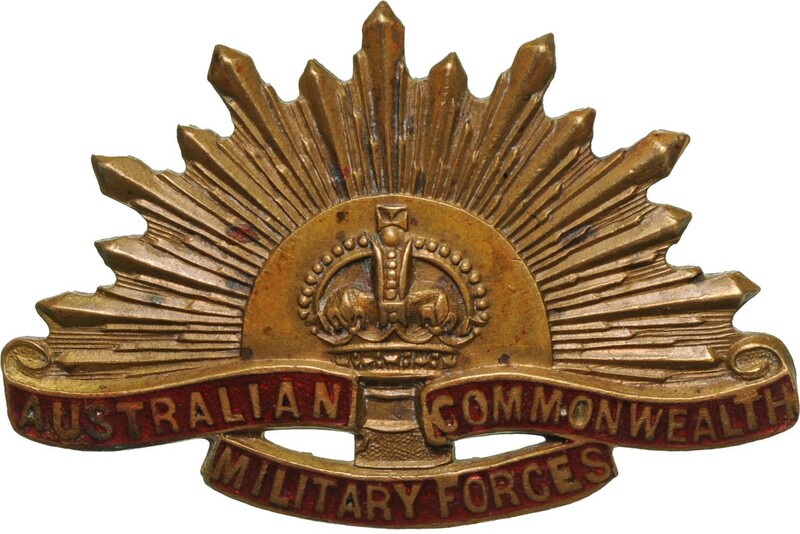 The Defence Act at that time prescribed training in the Senior Cadets at ages 14 -18 and in the Citizen Forces from 18 – 26, he was 19 years 5 months when he joined the AIF. During 1914 with World War I in progress he probably carried out guard duties at munitions factories, oil installations and railway bridges. 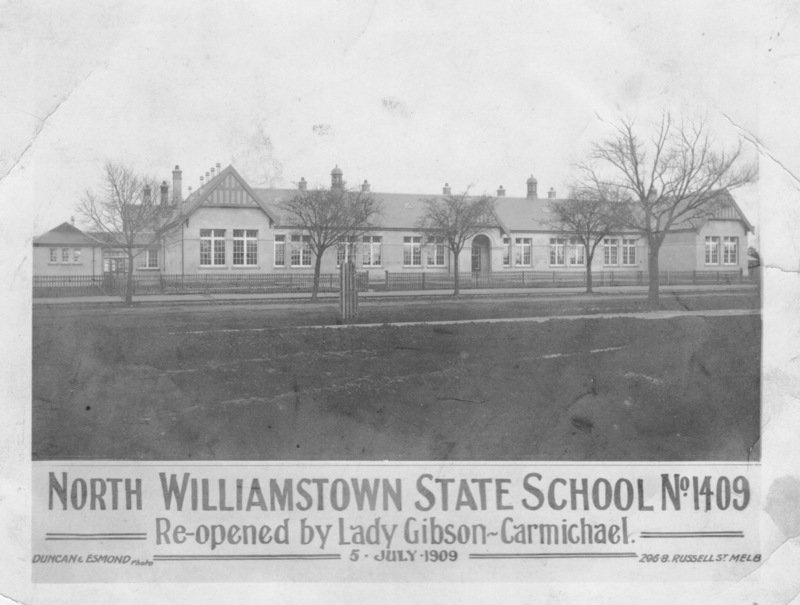 The enlistment papers also state he attended North Williamstown State School number 1499 but it is actually No. 1409. Errors like this common in many of the army documents where they even have his address wrong. And yet it happens again. Why not mediation and conciliation? 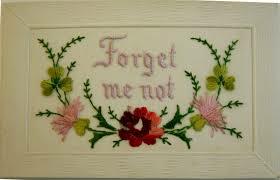 < Previous Quintessential Quilters With an Abundance of Talent. A haunting, well written and researched post, Mairi. It’s so important, especially on this 100th anniversary, to preserve these family stories. 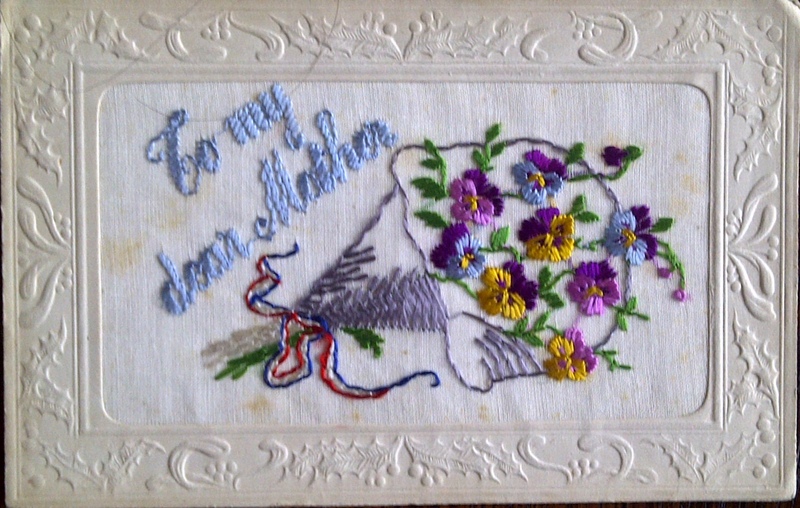 Thank you Glenice, I’ll get the project finished one day – post by post – well that’s the plan:) The Centenary gave me a push. This blog doesn’t have a ”thumbs up” symbol Mairi – but I’d give you one if there was. Well done and so readable and interesting. Thank you Kaye. How did your project go with your “McInnes”? Still working on finding some of the descendants to invite – too many ”cold” phonecalls for me so it is a slow job as my hesitancy requires, but I think I’ll just set a date for the commemoration and dedication ceremony soon and go with it. Who is in will be in, and who is not is, is unfortunate. Can’t necessarily get everyone. If I wanted, I could go on for 4 years as the war did – it is the celebratory period – but I wont. Thaks for asking. Wonderful Lindy – I’ll definitely email you to see the board and get a photograph.